Episode #2 on FORGOTTEN HOLLYWOOD features an interview with documentary filmmaker Hector Galan. The acclaimed work will appear on PBS. Airing on April 17th on their program Voces is a production called Children of Giant. Our segment is called Cinema Touches a Community. 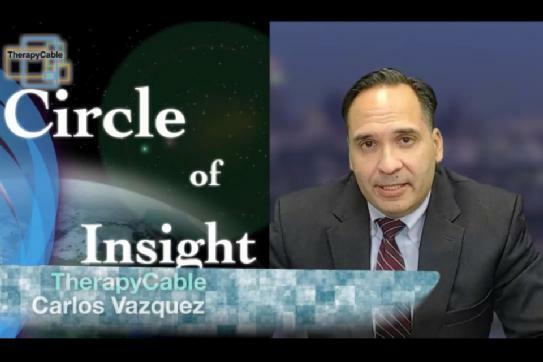 The interview on THERAPYCABLE CHANNEL will summarize the story of a community directly influenced by a Hollywood production that included director George Stevens, and actors Rock Hudson, Elizabeth Taylor, and the final film made by James Dean. It explores how a Mexican American community was directly influenced by the epic production, Giant. The 1954 motion picture was based on a novel by Edna Ferber, and explored the racial divide between Anglos and Latinos, class division, feminism, and the real story of a poor Texas town of Murfa, where the movie was originally made. The children in the cinematic classic are now grown up and reflect about their time in the spotlight. 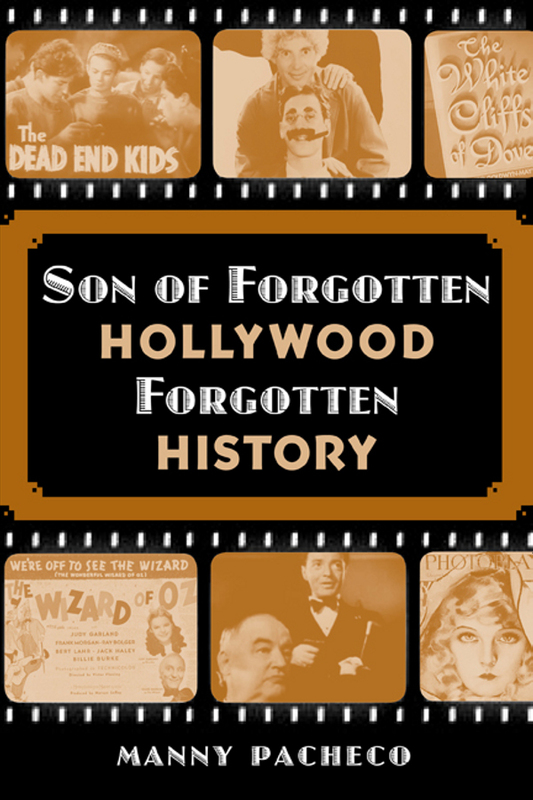 FORGOTTEN HOLLYWOOD is based on a franchise that includes a book series, a weekly radio show airing on the 90.1 FM KBPK on Sundays at 7p (pst); this blog, and a documentary currently in production. Publicist Cheryl Kagan says the traveling exhibition will begin on April 30th at the Strong Museum in Rochester, New York. Among the items on view will be a baby grand piano inscribed by Theodore Steinway and a child-size race car that was a gift from Bill Bojangles Robinson, along with Temple’s autograph collection and costumes from her various films. The exhibit will travel to Boston, New Jersey, California, and Texas before the July 14th auction in Kansas City, Missouri. 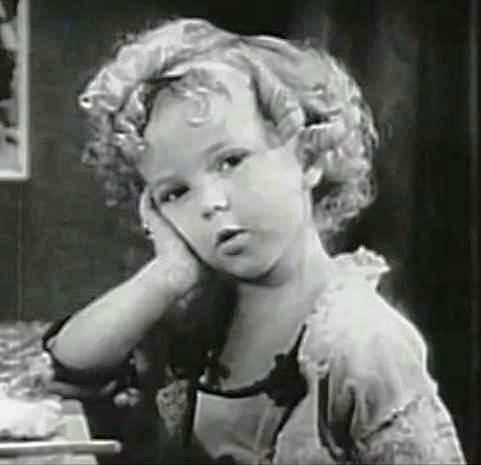 Shirley Temple died last year in February. Azusa Pacific University is the latest location that carries the Forgotten Hollywood Book Series. The Hugh and Hazel Darling Library will carry both of my paperbacks. With over 6,500 students, APU’s undergraduate student body is the largest in the Council for Christian Colleges and Universities, and the second largest evangelical undergraduate student body in the United States. In the fall of 2009, Azusa Pacific University acquired a collection of antiquities, including five fragments of the Dead Sea Scrolls and five first-edition prints of the King James Bible. It’s the 89th library to carry Forgotten Hollywood Forgotten History, and the 47th to own Son of Forgotten Hollywood Forgotten History. Overall, 107 literary branches carry a combination of both works. Saks trained for acting at the Dramatic Workshop of The New School in New York. He made his acting debut on Broadway in South Pacific in 1949. On stage, he also appeared in A Shot in the Dark and A Thousand Clowns. Gene played Jack Lemmon’s brother in the screen adaptation of Simon’s The Prisoner of Second Avenue, and he also appeared in Nobody’s Fool starring Paul Newman. Saks shared a long-term professional association with playwright Neil Simon, also directing Simon’s plays Biloxi Blues, Lost in Yonkers, and California Suite. Additional theatre credits include Enter Laughing, Mame, and Same Time Next Year. Among Saks’ film directing credits are Barefoot in the Park, Cactus Flower (which won Goldie Hawn the Academy Award for Best Supporting Actress), Last of the Red Hot Lovers, Mame, A Fine Romance, and the 1995 television production of Bye Bye Birdie. 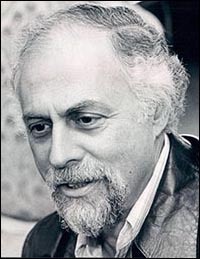 Saks was inducted into the American Theater Hall of Fame in 1991. Dr. George Fischbeck (right) , was a news weatherman on KOB-TV in Albuquerque, New Mexico from the early 1960s to early 1970s. In 1972, he moved to KABC-TV in Los Angeles, replacing Alan Sloane, where he became a staple on the station’s Eyewitness News broadcasts. He retired in 1990, but returned to television with a brief stint at KCBS-TV from 1994 to 1997. During World War II, Fischbeck was stationed in Hawaii and worked as a tank mechanic. He worked with the Air National Guard during the Korean conflict, and began learning basic meteorology. Dr. George studied education while attending the University of New Mexico, graduating in 1955 with a Master of Arts. Fischbeck worked as an Albuquerque–based teacher for 23 years, which help him develop a ebullient personality. In 1979, Dr. George was awarded the Silver Beaver by the Boy Scouts of America for his service to youth. He was a volunteer with the Los Angeles Zoo. 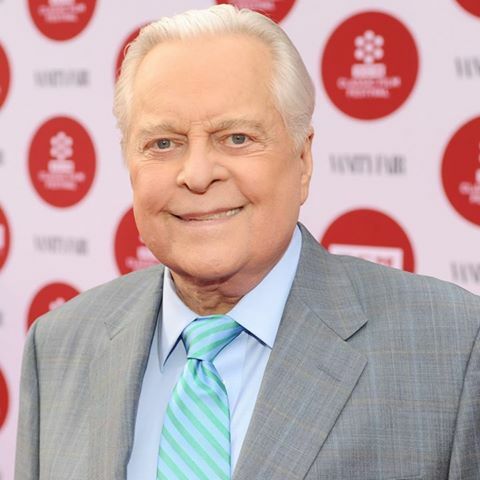 In 2003, he was awarded the Los Angeles Area Governors Award for lifetime achievement by the Academy of Television Arts & Sciences for special and unique contributions to Los Angeles area television. In 2013, Los Angeles City Councilman Tom LaBonge declared April 10th to be Dr. George Day. A month later, Fischbeck’s autobiography was published by University of New Mexico Press. 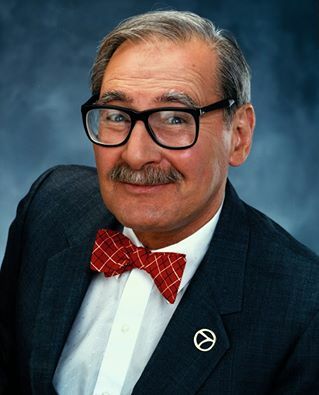 The absolutely wonderful Dr. George Fischbeck was 92. 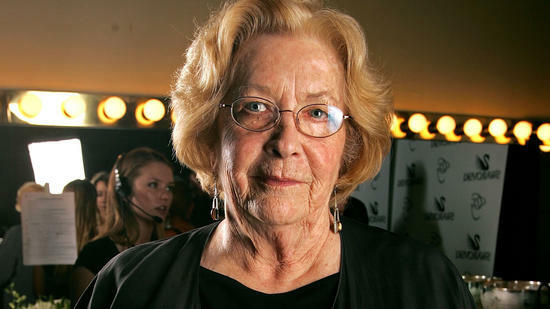 Sally Forrest, singer and actress, has died. The protégé of Hollywood trailblazer Ida Lupino appeared in a number of movies directed by the former star-turned-director, including Not Wanted, Never Fear, and Hard, Fast, and Beautiful. Forrest began modeling and teaching ballet while she was still in high school. 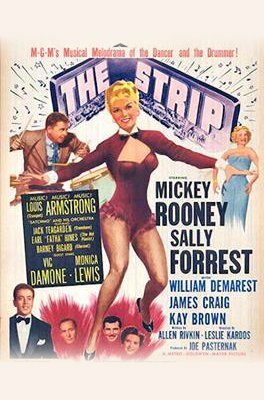 She got her first film gig working as a choreographer and lead dancer in Till the Clouds Roll By, and went on to do several other MGM musicals. Her other film credits include roles in Mystery Street, Vengeance Valley, Son of Sinbad, The Strange Door starring Boris Karloff and Charles Laughton, The Strip with Mickey Rooney, and Fritz Lang’s While the City Sleeps. She also had roles on television such as Suspense and Rawhide, as well as on variety programs like The Ed Sullivan Show. She co-starred opposite Tom Ewell in the original run of The Seven Year Itch on Broadway. 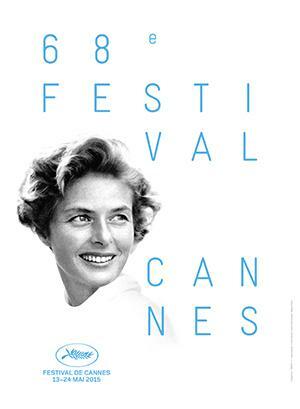 The Festival du Cannes is honoring Ingrid Bergman on this year’s poster. The three-time Oscar-winner joins a litany of Hollywood icons to grace the start of this cinematic gala of newly-released films from around the world. Recently, the film fest has paid homage to Marilyn Monroe, Paul Newman, Joanne Woodward, and last year, Marcello Mastroianni. This highly regarded European event will be held in the Spring. Rocky J. Squirrel and Bullwinkle J. Moose will soon be coming home to the Sunset Strip after a three-year absence. 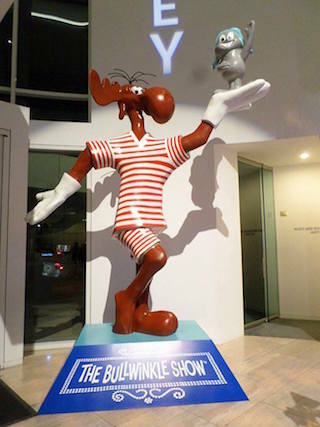 West Hollywood’s Rocky and Bullwinkle statue first popped up in front of Jay Ward Productions in 1961 , the production company behind The Rocky and Bullwinkle Show—and Cap’n Crunch. Bullwinkle, holding Rocky on an outstretched palm, was posed to parody a billboard for the Sahara Hotel erected across the street that featured a showgirl. Ward’s family has now offered to donate the statue to West Hollywood, and the WeHo City Council voted to accept the gift last night. While Jay Ward Productions stopped making new cartoons in the ’70s and eventually closed in 2002, the statue remained until 2012 when DreamWorks Animation—who had bought the rights to the cartoon—worked with Ward’s daughter to restore it. The statue was then moved into the Paley Center in 2014 as part of the Jay Ward Legacy Exhibit. The statue’s new home will be near a parking lot at 8775 Sunset Boulevard. WeHo City Council will have to appropriate $25,000 for set up. However, the Gibson Guitar Foundation is putting up $20,000. WeHo is still working on the installation plan, the statue may be unveiled in mid-to-late July. Send a bulletin to Frostbite Falls, Minnesota! So, that’s what I’m in the process of doing right now—taking care of that medical procedure. The downside is that it means I won’t be joining you at this year’s Festival in Hollywood—very disappointing for me because for the past six years the TCM Classic Film Festival has been one of the things I’ve enjoyed most: sharing the Festival with you, the great sense of community we have, the conversations with so many of you Festival goers as well as the gifted actors and artisans who are part of the classic films we show, the pure joy of it all. But as we all know, one’s health is a gift, and has to be protected and put first. Rest assured that the many talented hosts at the Festival, including Ben Mankiewicz, will be helping you have the very best Festival going experience. I know you’ll enjoy the wonderful films we have programmed, and meeting the gifted artists who are participating in this exceptional event. Enjoy every moment of it and make as many memories and new friends as you can. And rest assured, I’ll be seeing you again, very soon. But right now: on with the show. The cast of Martin Scorsese’s GoodFellas will reunite for the motion picture’s 25th anniversary at the Tribeca Film Festival. It is a cinematic adaptation of the 1986 non-fiction book Wiseguy by Nicholas Pileggi, who co-wrote the screenplay with Scorsese. The film narrates the rise and fall of Lucchese crime family associate Henry Hill and his friends over a period from 1955 to 1980. The festival announced Wednesday that a re-mastered version of the gangster film classic will close the 14th annual Tribeca Film Festival on April 25th. Following the screening at New York’s Beacon Theatre, Jon Stewart will host a conversation with Scorsese and the cast, including Robert De Niro, Joe Pesci, Lorraine Bracco, Ray Liotta, and Paul Sorvino. 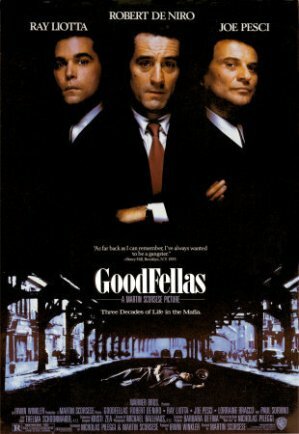 Goodfellas is often considered one of the greatest films of all time, both in the crime genre and in general, and was deemed culturally significant and selected for preservation in the National Film Registry by the United States Library of Congress. Scorsese has followed it up with two more films about organized crime: Casino and The Departed. The festival will run April 15th-26th. “Forgotten Hollywood”- FH is a Vodcast on TherapyCable! May I present the initial episode of Forgotten Hollywood with host Manny Pacheco. The program is called: A Filmmaker’s Journey into Alzheimer’s Disease. You can also listen to the interview on iTunes. The second show will stream next week on TherapyCable. Just as President Obama arrived to appear on the Jimmy Kimmel Show, last Thursday, numerous Hollywood personalities ignored barricades and yellow tape declaring Do Not Cross, to gather in celebration. This was a tribute to a classic American of a different kind – The 60th anniversary of the hit television series that celebrated his life, The Life and Legend of Wyatt Earp. 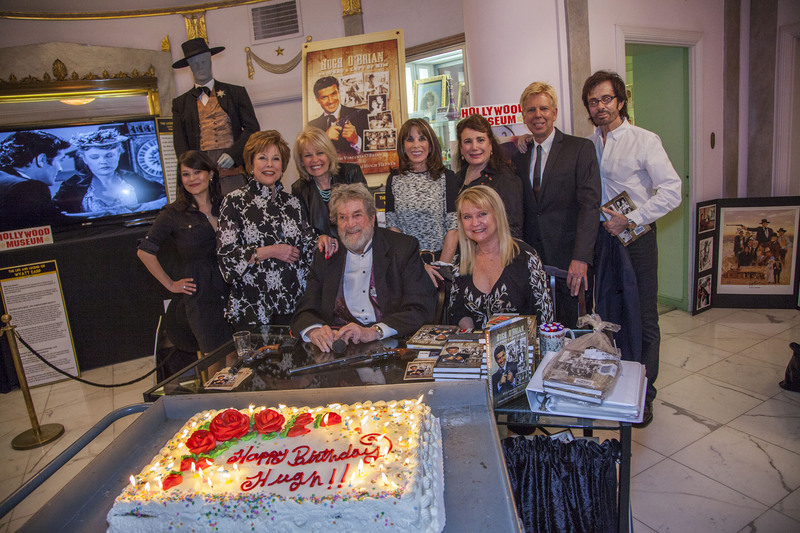 Organizer and owner of The Hollywood Museum, Donelle Dadigan, arranged to exhibit the original guns, hat, boots, and complete wardrobe worn by its star, Hugh O’Brian. Kate Edelman-Johnson (daughter of the show’s creator and producer, Lou Edelman) was on hand to introduce the actor, who just released his memoirs, HUGH O’BRIAN: or What’s Left of Him in time for his 90th birthday in April. One of the few remaining classic Western stars, O’Brian, has completed his memoir (with a Foreword by Debbie Reynolds and Hugh Hefner). Mr. O’Brian shares amazing stories of an era in entertainment that there soon will be too few to share in first person. The book chronicles many never before published stories about Marilyn Monroe, Johnny Stompanato, the Marine Corps, living at the House of Seven Garbos, his meeting Albert Schweitzer, and the television Western. It has recently returned to the small screen on STARZ/Encore Western Channel and COZI, with the international rights now in negotiation now. Among those who braved the presidential road blocks were Doris Roberts, Kate Linder, Jimmy Hawkins, Dawn Wells, Peter Ford (son of Glen Ford), George Chakiris, Judy Tenuta, Erin Murphy, Sue Lloyd (granddaughter of Harold Lloyd), and yours truly. Each of the many guests agreed that The Hollywood Museum (a 501(c)(3) non-profit corporation located in the Historic Max Factor Building, across the street from where the Oscars are held) was the perfect location for the tribute and is the ultimate destination for tourists and movie fans. The Hollywood Museum houses over 10,000 showbiz treasures and the most extensive collection of Hollywood costumes, star cars, props, posters, photographs, and memorabilia in the world showcasing more than 100 years of Hollywood history. The museum spotlights the glamor of Hollywood legends from Mary Pickford, Douglas Fairbanks, and Rudolph Valentino; to the Golden Era’s Joan Crawford, Judy Garland, and Katharine Hepburn; to movie idols Marilyn Monroe, James Dean, Cary Grant, Clark Gable, and Elvis Presley, to name a few. The Hollywood Museum is also home to Max Factor’s world-famous makeup rooms where Marilyn Monroe became a blonde and Lucille Ball first donned her signature red hair. Fifty fans of classic cinema had the opportunity to watch Orson Welles’ 1941 groundbreaking film, Citizen Kane, partly based on the late William Randolph Hearst at the media tycoon’s own private theater at Hearst Castle, a concession the magnate would probably not have made. The screening Friday with a price tag of $1,000 was part of the San Luis Obispo Film Festival. This included an exclusive tour of the estate, which is now a state park, and a reception on the mansion’s patio overlooking the Pacific Ocean. It will benefit the nonprofit Friends of Hearst Castle, a preservation group. Welles’ cinema classic was shown before in the Hearst Castle’s visitor center in 2010, but this was the first time the movie was screened in the opulent, 50-seat theater at the hilltop estate. Great-grandson Stephen Hearst, the vice president and general manager of Hearst Corp.’s Western Properties, gave his blessing to the festival to screen the film both times. 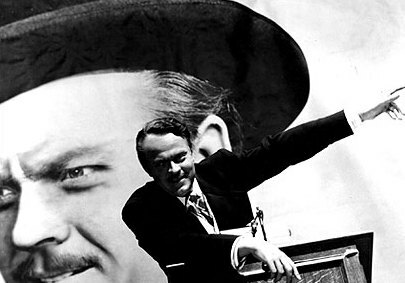 He didn’t attend, but said he saw it as an opportunity to show the differences between his great-grandfather and Charles Foster Kane, the character played by Welles. 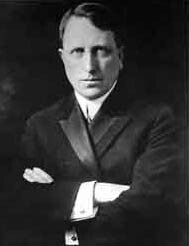 William Randolph Hearst sought to derail the movie, which portrayed the rise and fall of an obsessively controlling media mogul, but the film went on to win an Oscar in 1942 for Best Original Screenplay and is now considered one of the greatest American films. The film, a searing critique of a newspaper magnate, has many similarities to Hearst’s life. But, Hearst said the screening, which was hosted by TCM’s Ben Mankiewicz, the grandson of Herman Mankiewicz, who co-wrote the Citizen Kane screenplay, was an opportunity to draw the distinctions between William Randolph Hearst’s life and Welles’ fiction. On my Facebook page, I mentioned that this is like the Richard Nixon Library having a Watergate exhibit… which it does! 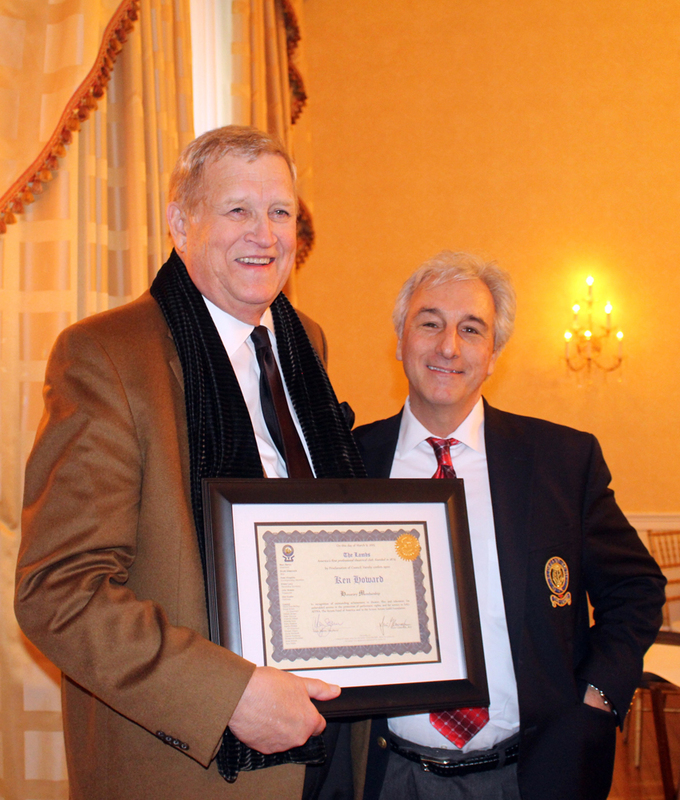 The Lambs, America’s oldest theatrical performing arts social club, honored SAG-AFTRA president and stage, film, and television actor Ken Howard —> with honorary lifetime membership. The organization bestowed the honor in recognition of his outstanding achievements in stage, television and film, and for his work in protecting performer rights as past president of SAG, as the first elected president of SAG-AFTRA, and as a trustee of The Actors Fund and the SAG Foundation. Howard joins such acting icons as Spencer Tracy, John Wayne, and Cliff Robertson (among others), all previous recipients. The Lambs is America’s first professional theatrical club, founded in New York in 1874. They have been involved in the founding of The Actors Fund of America, ASCAP, Actors’ Equity, and in the merger of SAG-AFTRA. The Lambs is in Manhattan, near Radio City Music Hall and St. Patrick’s Cathedral. Howard’s admirable body of work includes his second Emmy in 2009 for his role in HBO’s critically acclaimed Grey Gardens. He appeared in the recurring role of Hank Hooper in NBC’s award-winning primetime series 30 Rock. With over 20 feature films, Howard can currently be seen as Judge Warren in The Judge and in The Wedding Ringer. Ken Howard is a Tony-winning actor (Child’s Play) who has appeared in nearly 40 stage productions since his professional debut on Broadway in 1968. His stage work includes 1776 and Seesaw. Congratulations to our beloved president of SAG-AFTRA, who I had the pleasure meeting a SAG Awards gala in 2010. 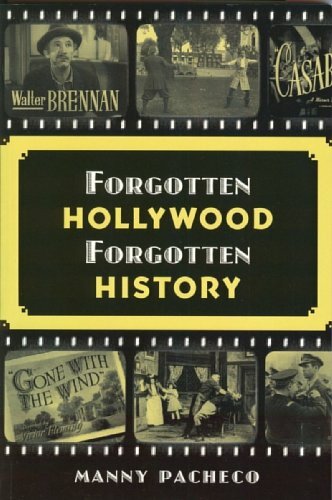 And, Forgotten Hollywood Forgotten History is housed in the prestigious library of the SAG Foundation. 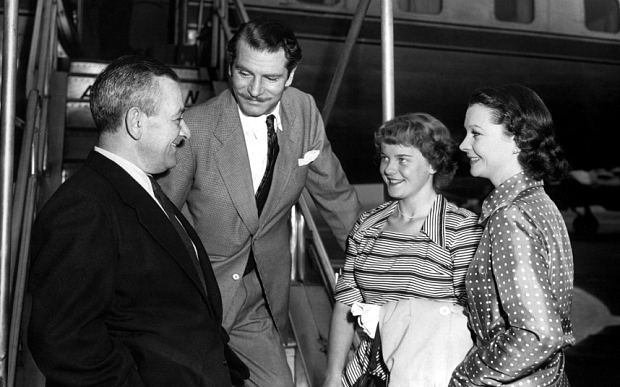 Suzanne Farrington was the only child of film star Vivien Leigh. She was born when her mother was 18. Restless to make her name on the stage, Leigh’s daughter was only two when the actress eloped with Laurence Olivier, and just after she won her Academy Award playing Scarlett O’Hara in Gone with the Wind. Suzanne spent much of her life coming to terms with the complicated phenomenon of her mother, with whom she always had difficulties (though unlike the daughters of Joan Crawford and others, she felt no temptation to share these with the world). Instead, she led most of her life away from the glare of publicity, and eventually, created a happy home for her husband and three sons. Farrington also held her stepfather (Olivier) in high regard. It wasn’t easy to be the daughter of a successful star. Suzanne shared neither her mother’s thespian qualities, nor her unique beauty. Her mother was absent for most of her childhood, and when war came, Suzanne went to Vancouver, Canada to live with her grandmother. Vivien visited her only once. Later, Suzanne moved to Banff, frequently skiing to school. In December, 1942, David O. Selznick conceived the idea of casting Suzanne as the young Jane in the Orson Welles film Jane Eyre, mindful of the publicity potential. Suzanne’s father, however, was adamantly against his daughter following her mother’s path. Suzanne did spend some time with Vivien at Notley Abbey in Buckinghamshire, and there were a few holidays. She was also in Hollywood when Vivien was filming A Streetcar Named Desire in 1951. Suzanne’s wedding coincided with the crumbling marriage of her parents. On Vivien Leigh’s death in 1967, she was left most of her estate. Her later life was overshadowed by a stream of sensational books that came out about her mother. She realized that she needed to put her trust in one author. On the advice of Peter Hiley, who ran Laurence Olivier Productions, she agreed to work with Hugo Vickers, consigning to him her grandmother’s diaries and other papers. The book was published in 1988, and she later described it as the only one she could read without embarrassment. The Victoria and Albert Museum purchased the Vivien Leigh Archive from Suzanne last year, so that Vivien’s correspondence with Olivier, letters to her, photographs, play scripts, and other papers could become available to future historians. The very private Suzanne Farrington was 81. Patricia Norris (right) was a top costume and production designer, who has worked on many significant films and she was nominated for six Academy Awards in her career. She worked with a collection of esteemed directors, such as Howard Hawks, Blake Edwards, Brian De Palma, Terrence Malick, Mel Brooks, and most recently, Steve McQueen. But, her collaboration with David Lynch remains a union of talent for which she will be best remembered. Her relationship with Lynch allowed for the off-kilter look of Blue Velvet, Wild at Heart, and Twin Peaks (she received an Emmy for the latter production). The Elephant Man, set in Victorian England, marked her initial association with the director. Norris earned her first credit as a costume designer on the James Garner Western, Support Your Local Gunfighter. She also worked on Capricorn One and Scarface. Her six Oscar nominations came from work on Days of Heaven, The Elephant Man, Victor Victoria, 2010, Sunset, and 12 Years a Slave (just last year). In 2010, she received a Lifetime Achievement Award for the Art Directors Guild.